do gooders | Utopia – you are standing in it! This entry was posted in economics of media and culture and tagged do gooders, morale psychology, regressive left, social justice on June 2, 2018 by Jim Rose. This entry was posted in applied price theory, labour economics, movies, occupational choice, poverty and inequality and tagged begging, do gooders, Monty Python, offsetting behaviour, unintended consequences on June 24, 2017 by Jim Rose. This entry was posted in labour economics, minimum wage, poverty and inequality, unemployment, unions and tagged do gooders, The fatal conceit, The pretense to knowledge on January 24, 2017 by Jim Rose. 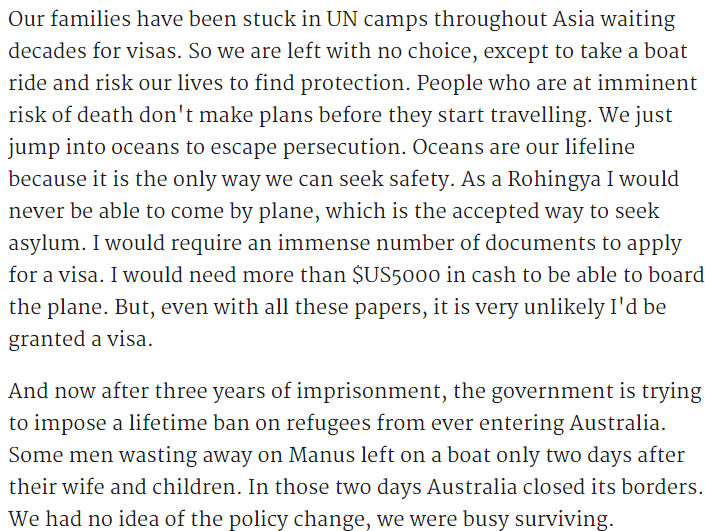 Amnesty NZ thinks it is torture to go from being a faceless family in a UN refugee camp with little hope to being in the Manus Island immigration detention camp with Australia doing everything it can to get you accepted as a refugee in another country. How many refugees in UN camps have all the resources of the Australian government trying to resettle them? Burma is such a dump the resettlement anywhere in the world is an economic improvement as well. Source: ‘The torture in my country is transparent, in Australia it is not obvious’. Another question that must be asked is whether the refugees on Manus Island displace refugees with better claims from within another country’s refugee quota because the Australian government is lobbying for them to be accepted as a refugee. Boat arrivals do not increase the Australian refugee quota so someone with a better claim is displaced. As arrivals by boat are no longer ever eligible to settle in Australia, this displacement dilemma is moved onto the consciences of 3rd countries. The purpose of the UN processing of refugees is to ensure those with the most pressing claims for asylum receive refugee status first. Those pushed back in the queue may be at a greater risk of imprisonment, torture and execution than those that arrived in Australia by boat. This entry was posted in Economics of international refugee law, politics - Australia and tagged do gooders, economics of immigration on January 15, 2017 by Jim Rose. How did the Vice Fund end the year? The Vice Fund is a mutual fund investing in companies that have significant involvement in, or derive a substantial portion of their revenues from the tobacco, gambling, defence/weapons, and alcohol industries. 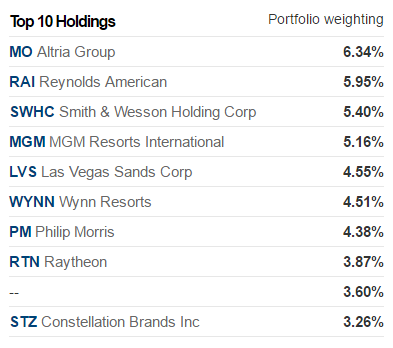 A primary focus of stock selection is the ability to pay and grow dividends. 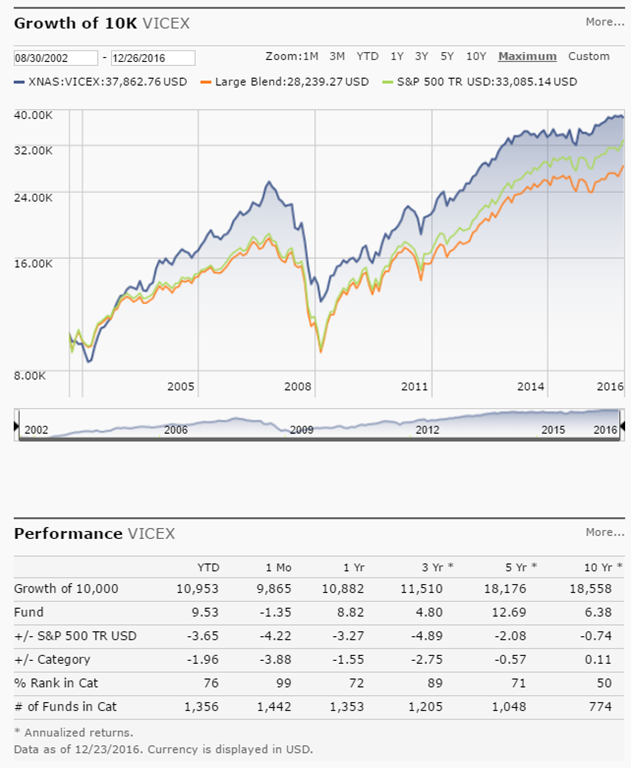 This entry was posted in financial economics and tagged do gooders, efficient markets hypothesis, entrepreneurial alertness, ethical investing on December 31, 2016 by Jim Rose. 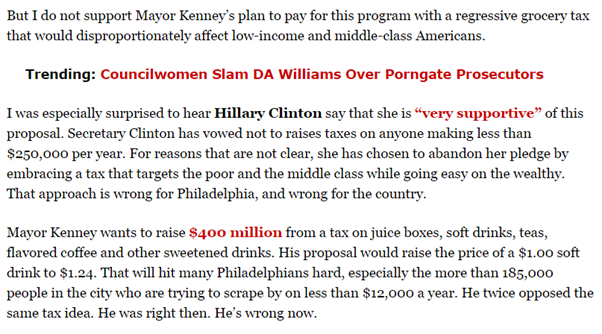 Source: Bernie Sanders Op-Ed: A Soda Tax Would Hurt Philly’s Poor. 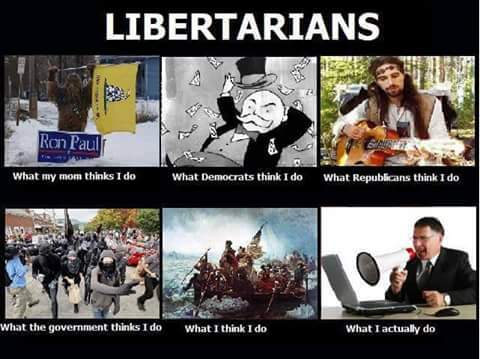 This entry was posted in applied price theory, health economics, income redistribution, politics - USA, Public Choice, rentseeking and tagged 2016 presidential election, do gooders, heavy-handed Samaritans, meddlesome preferences, nanny state, regressive taxes, sin taxes, soda taxes, sugar taxes on May 6, 2016 by Jim Rose. Finally have something nice to say about electric cars. They will put bus lanes to good use. A trivial percentage of people take the bus to work In New Zealand. The government has a target of doubling electric car fleet every year (from 2000 in 2016 to 64,000 in 2021). This decision yesterday to allow them to use busways allows us to relish in seeing environmentalists feud over which technologies are green enough to have access to priority lanes on the road such as those allocated to buses. One electric Light Rail vehicle (66m long) carries as many people as 400 electric cars (2.4km long). Which do you want in your bus lanes? Which is more important? Saving the planet or saving the buses; most of them are diesel? Busways are empty at the weekends and many other times. This entry was posted in energy economics, environmental economics, environmentalism, politics - New Zealand, transport economics, urban economics and tagged busways, do gooders, electric cars, expressive politics, global warming, trade-offs, transport lobby on May 6, 2016 by Jim Rose. This entry was posted in economics of media and culture, economics of regulation, health economics, politics - New Zealand and tagged anti-market bias, do gooders, meddlesome preferences, Morgan Foundation, nanny state, political psychology, rational rationality on April 23, 2016 by Jim Rose. 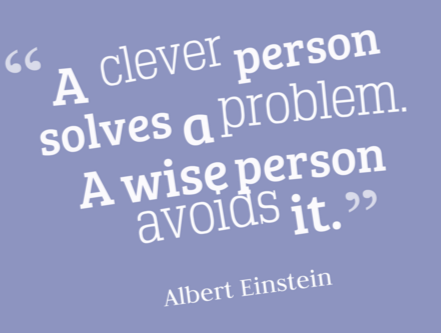 A clever man can climb out of the hole a wise man would not have fallen into. In responding to my Taxpayers’ Union paper on a Universal Basic Income, Gareth Morgan just kept digging. His first response was to say a Universal Basic Income would not be implemented immediately. This avoids retirees taking home $50 per week less than currently under NZ Superannuation. Gareth Morgan’s solution is to say that only those currently under 50 will have to rely on a Universal Basic Income. Only people who are today under the age of 50 could be expected to retire under the UBI policy, the policy would not apply to existing superannuitants. Generation Rent have to pay higher taxes to keep current retirees in the superannuation style they have become accustomed. Those aged over 50 are also grandfathered in to the existing level of income support from New Zealand Superannuation. For the 25 years prior to retirement they will receive the UBI on top of their wages. If they save a good portion of it they will have nest egg at retirement which they can use in retirement to supplement the UBI (which is more modest than today’s NZ Super). After all, $11,000 is a lower income than what is currently paid out as part of New Zealand Super. If the figure is too low, then the benefits of security and freedom promised by a UBI may not be realised. On the other hand, if the figure is pushed higher, taxes will have to rise, possibly to an unrealistically high figure. (Morgan’s $11,000 UBI is funded through a flat tax of 30%.) There is, therefore, a real feasibility-sufficiency trade-off. It may be that a UBI has to be supplemented by other transfers to ensure that the most vulnerable groups have enough income. As for single parents relying on a welfare benefit, they are $150 a week short under a Universal Basic Income. Where is Sue Bradford when you need her to go on about beneficiary bashing. Each child has two parents, the UBI is paid to both whether they live together or not. It is totally feasible that the UBI of both parents could be required to be directed to support the children in the event of separation. In the Kahuna the amount paid per family would be $22,000 after tax – more than is paid to a sole parent family now. …let’s agree on what is a minimum income every adult should have in order to live a dignified life and then see what flows from that. We begin by specifying the income level below which we are not prepared to see anyone having to live. If you are the non-custodial parent and down on your luck – unemployed, sick or an invalid – you cannot rely on your Universal Basic Income as a backstop because part or all of that is already transferred to support your child. Paternity suits will take on a new meaning because you can lose your Universal Basic Income. The Universal Basic Income with Gareth Morgan’s ad hoc amendments this week has strings attached on whether you or someone else receives your Universal Basic Income. That make or break decision will be up to the Family Court and the Child Support Agency at IRD. I am not sure how a Universal Basic Income deals with deadbeat dads at home and living abroad. Central to its funding is abolition of the welfare state bureaucracy to save $2 billion. Those down on their luck will not have a welfare state bureaucracy to turn to if their child support does not come through or have nothing to live on after their child support is paid. We must finally admit that with all the paternalistic will in the world there is no chance that public servants can adequately identify and monitor eligibility for a needs-based benefit regime. We should save ourselves the torture of continuously getting it wrong and designing an endless stream of discriminatory “fixes” to cover our mistakes in finding targeted perfection. The reality is that people’s circumstances are dynamic and that they will change their behaviour to suit the design of the benefit regime making the chicken and egg nature of determining “needs” an exercise in futility. The important thing is to be fair and to have a consensus on the level of income that we all have an unconditional entitlement to in order to live a dignified life. Gareth Morgan seems to throw Generation Rent and non-custodial parents under the bus to deliver on his dream. They both have to give up much of their Universal Basic Income either to their children or their KiwiSaver to fill the growing number of gaps in his Big Kahuna. Their unconditional entitlement to be able to live a dignified life through a Universal Basic Income of $11,000 per adult has a lot of strings attached to it and cracks to fall through with no safety net. Wear a condom, do not divorce and do not be under 50 are the secrets to enjoying a Universal Basic Income. If not, you are on your own. Your Universal Basic income is already spoken for. This entry was posted in labour economics, politics - New Zealand, poverty and inequality, welfare reform and tagged child support, deadbeat dads, do gooders, expressive voting, New Zealand Labour Party, New Zealand superannuation, old-age pension, rational irrationality, single mothers, social insurance, universal basic income, welfare state on March 31, 2016 by Jim Rose. Source: Gary Becker Fat Taxes, or Just Fat? | Hoover Institution (2010). Most healthcare expenditures are in the last 3 to 6 months of life. Smokers and overeaters live shorter lives. This can save more than it costs to the health budget. That finding is sufficiently frequent as to put the fiscal case for junk food taxes and sugar taxes on the canvas but still with a chance of getting back up to fight on. At a minimum, it makes junk food and sugar taxes a legitimate topic for honest disagreement. That is before you consider that people have the right to live their lives according to their own lights and make a few sometimes big mistakes along the way as part of finding their way. This entry was posted in economics of regulation, health economics, liberalism, politics - New Zealand, politics - USA and tagged do gooders, food police, junk food taxes, meddlesome preferences, nanny state, sugar taxes on February 20, 2016 by Jim Rose. 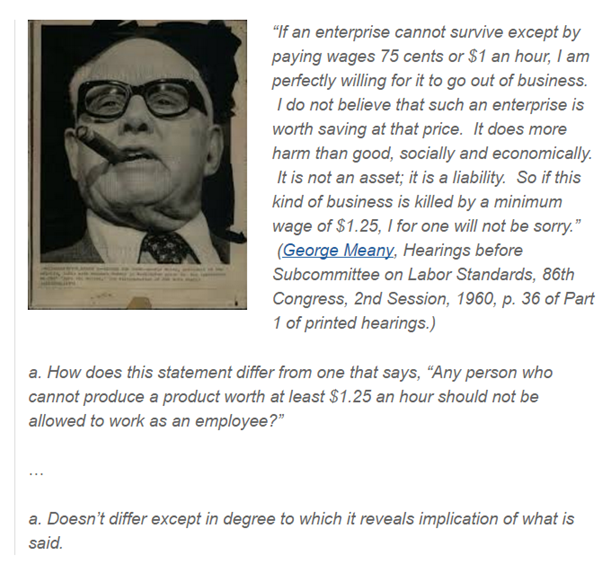 This entry was posted in entrepreneurship, industrial organisation, labour economics, minimum wage, survivor principle, technological progress and tagged creative destruction, do gooders, expressive voting, induced innovation, rational irrationality on January 6, 2016 by Jim Rose.